GST Services to get Track Provisional ID Status/Grievance Registration & Check Status/Locate GST Practitioner, search Office Address . Go to the above link then enter the following details to check the Provisional Id Status. 5. Click on submit button,your status will be displayed on the screen. 9. Upload Supporting Document – File with PDF or JPEG format is only allowed. Maximum file size for upload is 500 KB. 8. Click on Search button. 1. I have multiple businesses in one state registered using the same PAN. Do I need to enrol each business separately with GST? As one PAN allows one GST Registration in a State, you may register one business entity first. For the remaining business within the State please get in touch with your Jurisdictional Authority. 2. What is ISD Registration? ISD stands for Input Service Distributor. An Input Service Distributor refers to a person who distributes credit, in respect of the tax invoices of the services received at the Head Office, to its branches where the services have been supplied actually. Tax invoice refers to the invoice issued under Section 23 of the Model Goods and Services Act. If you are an existing ISD Taxpayer, you need to apply afresh in the GST Common Portal for the State in which you desire to seek registration. For that you need to inform your Central Jurisdictional Authority. 3. Do the Taxpayers need to enrol for all states in case of additional place of business in multiple States or only in one state where principal place of business is located? 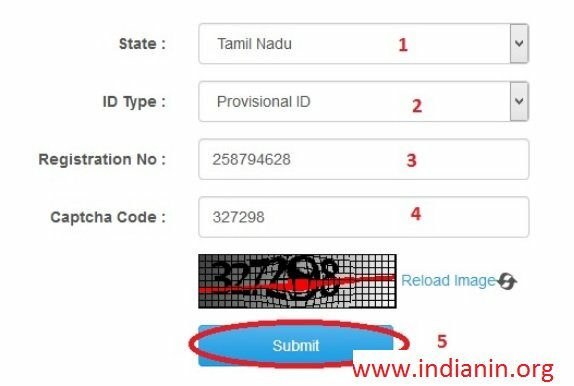 Provisional ID is issued on the basis “State + PAN” combination. If a taxpayer is registered under earlier law in different states, the taxpayer has been issued provisional id for each state (where it is registered). In case of additional places of business located in multiple states and they have not been registered in earlier law, the taxpayer need to apply for registration afresh for those particular States under GST after the appointed date. 4. What should be entered in the commissionerate code field while completing the enrolment process of branch office? Can the Taxpayers use commissionerate code of head office? For filling the Centre Jurisdiction field, Taxpayer has been provided with a reference/help link of the ACES website to guide him with the mapping of Commissionerate codes. Commissionerate code is based on the address of the Principal Place of Business in that State. If the Head office is situated in any other state, then the Centre Jurisdiction will be based on the Address of the Place of Business for which registration is sought. 1. Who is a GST Practitioner? GST Practitioner is a tax professional who can prepare returns and perform other activities on the basis of the information furnished to him by a taxable person. However, the legal responsibility of such filings remains with the Taxpayer. For this purpose, GST Practitioners (GSTP) are required to be enrolled with Centre or State Authority. CA, CS, CMA, Advocates, Retired Government Officials, and Graduates are eligible to apply for registration. In addition, GSTPs can be appointed Authorized Representatives who can act on the behalf of the taxpayers and represent them before tax authorities. 6. Applicant must fulfill the eligibility criteria of GST Practitioner. ** If payment status is PAID and amount is updated in Cash Ledger. ** In case of E-payment, payment not initiated from the GST Portal. ** If Memorandum of Error (MoE) is raised against the CPIN. ** In case of OTC Payment, status is AWAITING BANK CLEARANCE and cheque/ Demand Draft is not realized. All grievances related to Payments are handled by the GST Portal. 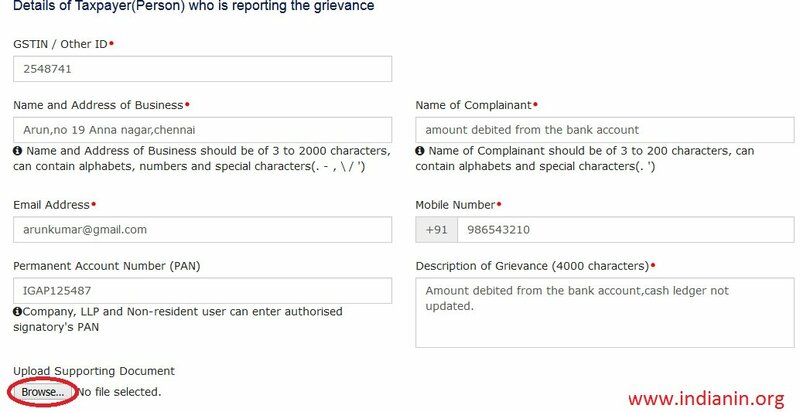 Based on the CPIN and Bank name entered by Taxpayer in the Grievance Form, an on demand call will be sent to the concerned bank. Based on the response from the bank, the Electronic Cash Ledger will be updated with appropriate comments and the grievance will be closed. E.g “No details received from your bank for CPIN. Please contact the bank to resolve this. You can also contact the ombudsmen of the concerned bank if the bank is not responding.”.